If we'd like to hear some alternatives to violence, the news isn't good! 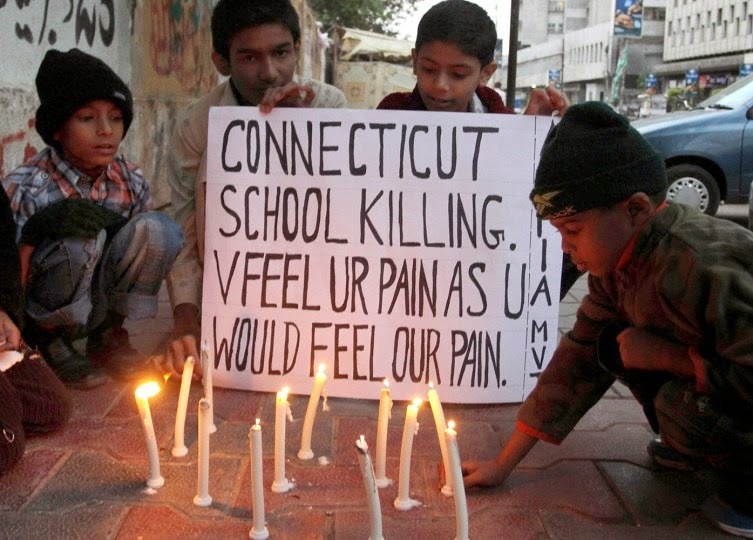 This morning, as I write this, the death toll in the school shooting in Pakistan was 148. These were mostly kids killed, the future of Pakistan. Last night it was one of the top three stories on the evening news. The second story was about the 6 murders in Pennsylvania by the Iraq war veteran, who in the midst of a huge hunt for him, apparently took his own life. Some reports gave grisly details. One of his victims had his/her throat cut. The vet died of cuts to his midsection. There's debate about whether he suffered from PTSD. He obviously suffered from something. And I guess we don't have to look to ISIS for grisly. The third story was about the shooting at the cafe in Australia. What can I say? Even "down under" suffers from the madness. Wars didn't even get a mention last night. And the continued killing of young black men has probably run it's course in the media. They gave Trayvon and Michael and Eric some print or air time, but they can only keep the attention of a tired readership for so long, before we go to sleep again. Still, if you saw the video of 12 year old Tamir in Cleveland being shot and killed, it's hard to go to sleep on that one without having nightmares. So here we are, just a few days from Christmas, when Christians around the world celebrate the coming of the Prince of Peace. Fortunately, the path to peace is clear. The Prince of Peace has a program. We simply need to heed it! We have the knowledge to provide a path to peace! Never in our history have we had so many minds teaching and writing about it. There are Peace and Conflict Studies programs at leading colleges and universities all over the globe, including at our own SDSU. We have African American Studies and Women's Studies and Native American Studies programs to help us grasp the history of our separation from each other and what we need to do to become one people. Organizations like the Einstein Institute in Cambridge, MA support research in nonviolent social change. That research makes the history of the human community nonviolently throwing off dictatorships and oppressive systems available to all, often in several languages. 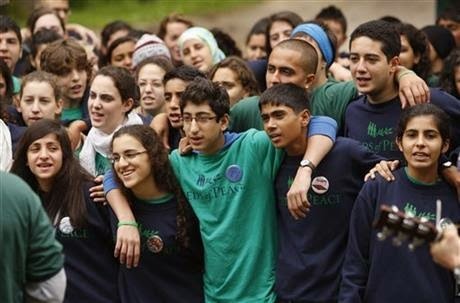 We can teach and learn the skills of peaceful conflict resolution. There are programs available in conflict resolution, violence prevention, bias awareness and peer mediation for teachers and school systems. Organizations like CRC-Global out of Nyack, NY are taking these programs to schools and young people around the globe. They have trained people right here in Brookings, enabling them to provide these skill building resources to children and youth in the Northern Plains. These programs can make a difference, giving the troubled child skills to confront their troubles creatively. There are organizations implementing both the knowledge and the skills of peacemaking in situations of conflict around the planet. One of my favorites is Peace Brigades International. Started in 1981 at the request of Mothers of the Disappeared in Guatemala, unarmed volunteers from other countries accompanied these courageous women working for knowledge about their husbands and sons who had been "disappeared" and for basic human rights. 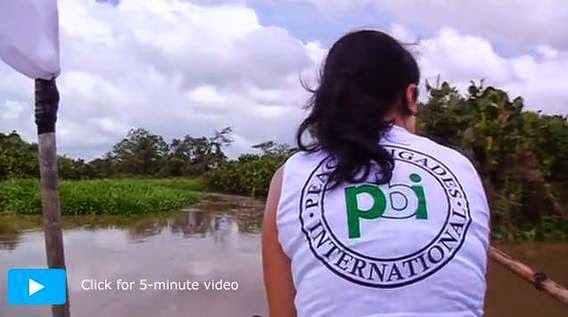 Over the years, working in El Salvador, Colombia, Indonesia, Nepal, Mexico, North America, Sri Lanka and Guatemala, PBI volunteers have developed, in the field, the ways of peace, often at great personal risk. And we have available to us the spiritual grounding for a pathway to peace. All of the world's great religious traditions teach a way of peace. None, rightly understood, propose a path of violence or war. We certainly see aberrations in all the traditions. And religion is often used by those in power, or seeking it, to justify hatred and violence. But the great majority of religious leadership and adherents in any of the traditions will decry any religious justification for abandoning a path to peace. Simply put, there is no spiritual grounding for violence. Jesus said, "Love your enemies; pray for those who persecute you." I know someone who prays daily for the person who abused her as a child. I know people who struggle daily to love their enemy. 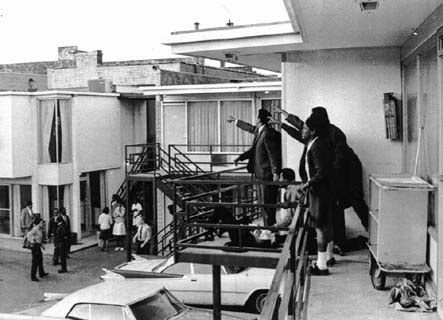 I think of Martin Luther King counseling love to civil rights workers suffering body blows from their "enemies." But King made clear it was a "tough love" he was advocating. It was a fearless love. Because real love, as the Bible makes clear, casts out fear. Increasingly, those of us in the U.S. are a fearful people. And there are many who have a stake in keeping us afraid and making us even more fearful. They make guns and video games, drones and nuclear weapons, tanks and body armor, bushmasters and security systems. We face what the apostle Paul called principalities and powers. It will take some spiritually grounded, skilled and knowledgeable people, to set us on the right path again. There's an effort underway to provide a few young people with that foundation in knowledge, skill and spiritual grounding. You can access the effort on the web at: www.satyagrahainstitute.org In the interest of transparency, yours truly is involved in this effort. In the face of the horrendous escalation of violence we see around the planet, one can do no less. We learn of hard-heartedness from Pharoah, of what it means to divide people into “us and them.” We learn from Pharoah the arrogance of power and privilege, of hearts and ears that cannot hear a people’s cries for freedom and redress. In the weekly Torah portion Vayishlach (Gen. 32:4-36:43), we learn of the transformative power of humility, of what it means to step back from who we have been as individuals and as a nation and to embrace another way. Only in stepping back, in turning, in bowing our heads, can we then embrace another, honoring the space in which the other stands, the lives they live. Jacob has been arrogant, callous until this point, and now he says katonti/I am small. Humbled, he is able to wrestle with himself and come to a new place of recognition, able to see his brother Esau and the place in which he stands. Only then is his name changed to Yisra’el/Israel/One who wrestles with God, only then is he able to be the progenitor of a nation. Only then, when the individual Jacob is able to recognize his own arrogance, is the nation able to change and be transformed through humility. That is where we are during these terrible days, black men cut down on city streets by those who represent the state through badge and uniform and none are held to account. We come face to face with ourselves, with the arrogance of power and privilege, and none are held to account. Encapsulating the arrogance of a nation in Ferguson, the white police officer who killed Michael Brown said after his acquittal that he would do nothing differently. And perhaps so too for us, nothing any different, with another acquittal only a week later in New York of the white police officer who killed Eric Garner, choking the breath out of him as he pleaded for his life. 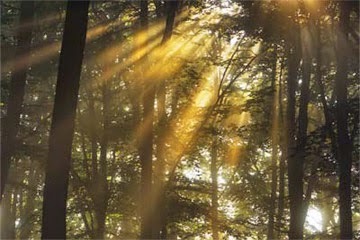 On the Sabbath morning, Jews sing out in prayer, Nishmat Kol Chai/Let the Breath of Every Living thing praise God’s name. Each one needs to be alive, breath still within them to praise God. We are all joined as one, filled with the breath of God from birth. 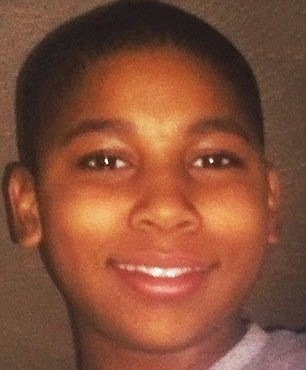 Each one who has died so brutally is our own, our own beloved child, grandchild, brother, spouse, Michael, Eric, and truly our own child, twelve year old Tamir Rice, shot and killed by police as he held a toy pellet gun, no other way found to determine danger or way of response. Grieving with their families, we honor the memories of Michael, of Eric, of Tamir. We affirm what should be obvious, that black lives matter because all lives matter, each one created in the image of God. We are ashamed as Americans in needing to be reminded of such a basic truth, shaken from complacency to see through the lens of immediate trauma the pernicious effects of racism in the day-to-day lives of fellow citizens. Filled with horror and heartache that joins us as one, we all draw on our own particular experience as individuals and peoples to help us understand the experience of others. Jews know what it is like to be marginalized, to be the other within cities we thought to be ours, within nations in which we thought we belonged. As Americans all, we dare not minimize the pain that is felt today by our African American sisters and brothers. Jews are uniquely called, challenged from out of our own experience, to feel and express solidarity, and to act for the sake of justice. The Torah’s cry for justice is not meant to be as empty words falling on deaf ears. Justice, justice shall you pursue is a mitzvah, a holy commandment! It is meant to be heeded and made real, not foreclosed upon in the way of grand juries who preclude the pursuit of justice before a court of law. Our memories of slavery are old, from long ago, memories ever renewed in the Torah’s call to remember, you were strangers in the land of Egypt. We are to know the heart and soul of all who are oppressed. We know of institutional hatred and discrimination, too often renewed, psychic scars to remind, meant to be a source of empathy. We know of state-sanctioned terror, when those in uniform have stood by or abetted the murder of Jews, when a uniform of the state offers no sanctuary. We know what it means when good people stand idly by, when courts and police are not there equally for all, coming instead to be feared and avoided. It is our choice, which way we will go, whether in the way of Pharoah’s arrogance in which all lives do not matter equally, or in the way of Jacob’s transformation, change beginning with humility. Of the incomplete task of civil rights and of dreams deferred, Rabbi Abraham Joshua Heschel’s words continue to speak with immediacy from the days of the Civil Rights Movement: “Pharoah is not ready to capitulate. The Exodus began but is far from having been completed…. Few of us seem to realize how insidious, how radical, how universal an evil racism is…. To act in the spirit of religion is to unite what lies apart, to remember that humanity as a whole is God’s beloved child” (The Insecurity of Freedom, pp. 85-86). Each one a child of God, each one is our own, Michael, Eric, Tamir. 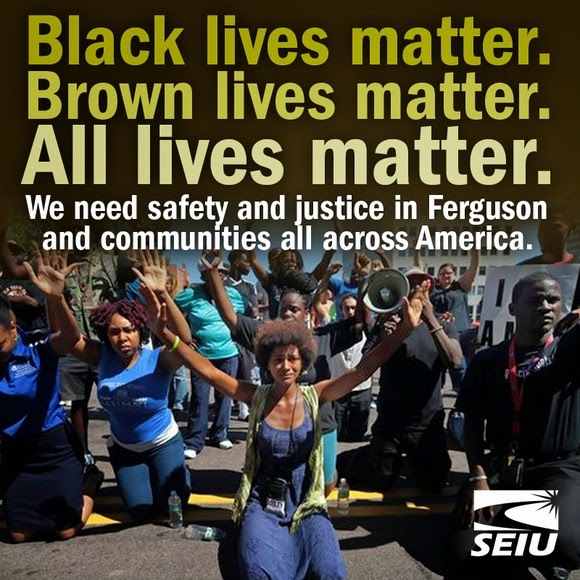 Black lives matter because every life matters. 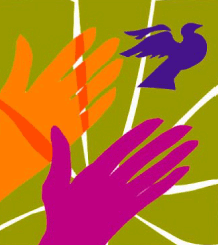 With humility and hope, we reach out in solidarity, seeking the way of change and transformation, of justice for all. The annual holiday season is always a time of reflecting on issues of peace and well being, on reasons for gratitude. This year is no different than any other. As I sat in conversation with my husband over lunch today, there was a savory pot of soup bubbling on the stove. The lights on our Jade plant “Christmas tree” sparkle softly even in broad daylight. Our Hanukah menorah is ready in the window, the box of tiny colorful candles and the matches ready nearby. Our rabbi has reminded us that the Hanukah lights are for pure enjoyment. They are to serve no functional use but to be a source of joy that allows for the flow of gratitude for all the miracles in our lives. It is a perfectly clear day. Earlier, a long morning walk with a dear friend began the day’s activities. Then there was time to write a liturgy for a preaching engagement at the end of the month. There will be dinner with friends and Torah study tonight. Life feels warm, energizing, blessed, and supremely safe. As we ate our lunch, we reflected on how safe we are. At night, we turn off the lights for sleep without a thought about whether our sleep will be interrupted by anything (except, perhaps by a sleepy trip to the bathroom!). We wake in the morning in the safe awareness that our day will probably unfold pretty much according to the events we have written in on the calendar. We come and go, day in and day out, without ever locking our doors –even on retiring at night. We travel to the grocery store and fill the tank with gas, do pick-up and drop-off with our grandkids and never question whether we will get back home at the end of the day in safety. We set dates for dinners and celebrations and do not question whether our friends will make it to our home alive and well. We live in safety - - -supreme safety. At this time of year our minds also turn to the great stories of our combined traditions - - stories of infants and families threatened by oppressive powers, of a baby floating in a basket on a river so that his life might be spared; of another baby spirited out of his own country to a foreign land so that he could live to grow to adulthood. 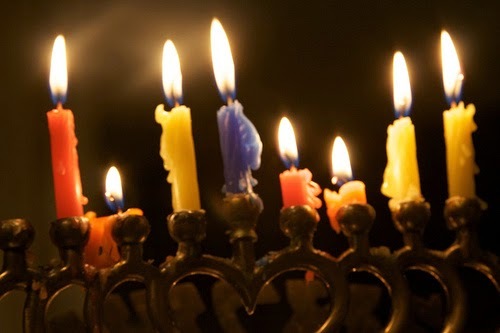 We think of a people historically oppressed by Rome – not permitted to practice their religion, brutalized by the threat of death and destruction as punishment for pursuing the most mundane of daily activities – like prayer, like celebrating Shabbat, like reading their sacred texts. No safety. We think about children dying from random bullets gone astray, child victims of police excess, parents who can never be sure that they will be able to grow their children to adulthood. We think about whole countries under siege – held captive to the violent excess of governments and movements that make safety a laughable dream for another time - -another life. No safety. We think about children on the move, trying to make their way to some other “promised land” where they might be able to find safety and discover only treachery and abuse and, often, a ticket that returns them to their starting point. We think about parents who cannot insure their children’s safety and whose only option seems to be to let them go. No safety. As we move ever more deeply into the cosmic darkness that attends the winter solstice, may it be with the prayer and the intention that we join with the ever increasing light that follows to create a world of greater safety for one another. 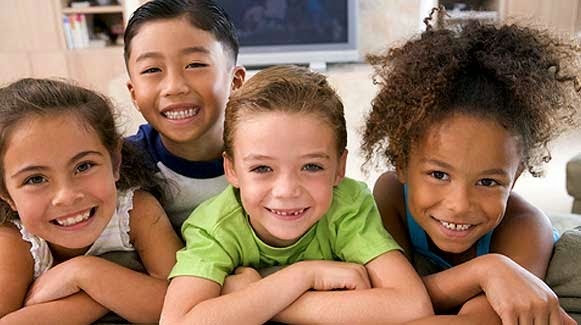 May we create a supreme safety for the next generation of children so that they may grow to healthy adulthood and take up the task in the service of the generations that will follow them. My best course in economics was experiential. It took place while we were living in New York City, first on Broadway and 120th. street, then later on Riverside Drive. I was in graduate school and my wife was working to "put hubby through," what we called getting her PHT. Her salary was modest so we had to pinch pennies. We shopped at the Coop grocery store over on Amsterdam Avenue, between 124th and 125th. Street. It was right on the edge of Harlem and a diverse but mostly poor constituency shopped there. We would take our two wheel shopping cart the few blocks to the store, fill it up and pull it home. We were eating hamburger then and would buy it at the Coop for 89 cents a pound (this was in the 60s). 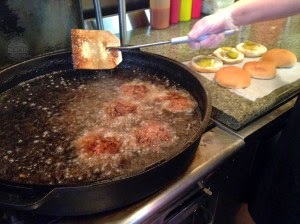 When we fried it up at home, half of it disappeared in the pan of grease. Actually, we got a half pound of meat scraps and a half pound of water and fat. After eating these burgers I usually felt ill. Sometimes it meant the runs. Not feeling well it was harder to focus on my studies or other tasks before me. When I didn't feel well I didn't perform well. When I didn't perform well, I realized, I was less likely to be rewarded. Less likely to be rewarded, I was probably fated to eating Coop burgers, and the cycle would be repeated. Working in the Youth Department at the nearby Riverside Church, I got to know lots of kids from Harlem and other poor communities in the area. They were not all superhuman. Some would never be able to escape the cycle of poverty in place in their "hood." Some few had the chance to leave, as they had special gifts or incredible survival skills. Visiting in their homes I saw and began to understand the cycle of poverty in all its manifestations, not just poor food. In some apartment buildings there were children playing in the stairwells all night. The older kids had to go to school in the morning so they had the only bed. The younger ones had to sleep in the daytime. Rat bites were common. One apartment I was in was flooded as we stood in the kitchen. The neighbor upstairs had been giving a child a bucket bath, the bucket had spilled and the water came through the porous floor into the apartment below. Try it! Get a good nights sleep with rats crawling through the walls, children playing outside the door and walls so thin the wind blows through them. Then get up and put in a good day's work, at hard labor. Eventually, because we had a car at our disposal, we would drive across the Hudson River, pay a bridge toll, and shop at a grocery store in suburban New Jersey. Hamburger was 69 cents a pound, it was still intact after frying, and we didn't get sick. Our groceries were always cheaper than at the Coop, even with the toll and gas figured in. Besides, there was fruit in New Jersey without blemishes and greens that weren't wilted. Most of the time at the Coop, there weren't any fruits or vegetables, even wilted or blemished. It's hard to believe but this was half a century ago. We still have millions of people caught in a cycle of poverty, perhaps more than in the 60s, in the richest country in the world. What's wrong with this picture? At one time the U.S. waged a "War on Poverty." This was the slogan of the Johnson administration that got lost, as Martin Luther King so eloquently pointed out, in a different war, the war in Vietnam. Then the country had a huge "peace dividend" under the Clinton Administration. Here were resources to be used for the strengthening of the commons. And that dividend disappeared, squandered in two more wars and tax cuts for the privileged. Now there is a partisan Supreme Court that has given even more economic power to the privileged to influence politics in Citizens United, and may well dismantle the only limited and flawed health care effort the U.S. has been able to muster in the face of big insurance and big pharmaceuticals. Political democracy without economic democracy is not possible. When the top 1% have most of the wealth and resources, political decisions are made for their benefit and the 99% can go hang. And God help those on the bottom of the ladder, because the political leadership can't or won't. I'm looking for a true populist movement to appear on the scene. Perhaps it had its beginnings in the Occupy Wall Street movement. The country needs people who care that this is the only industrialized country in the world that doesn't have an adequate program of health care for all. 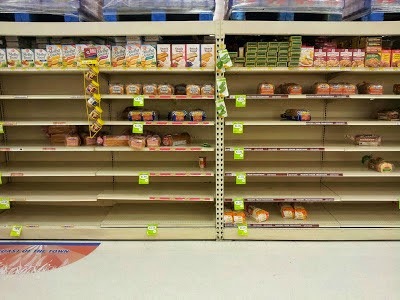 People need to care that many of our seniors are food insecure. People need to care that counties in South Dakota have off the wall unemployment rates. People need to understand the cycle of poverty and work to mobilize fellow citizens to accept their political power and reclaim their economic power as well. David Korten has written, "The proper goal of an economic democracy agenda is to replace the global suicide economy ruled by rapacious and unaccountable global corporations with a planetary system of local living economies comprised of human-scale enterprise rooted in the communities they serve and locally owned by the people whose wellbeing depends on them." As some work to disenfranchise the poor from voting (if you don't have a car and don't need a driver's license, where is your picture ID? ), we need people working to include the poor in an economic democracy. You can't have one democracy without the other. Being the daughter of a UN staff is always overwhelming. You change cities, you change friends, you change everything. Sometimes you don’t change anything; it’s just the UN staff member who changes cities. That was the situation when my mom first joined UNICEF. She was very happy and so was everybody. During the time she was working in India I didn’t know how risky it was to be a UN official. Then one day, after 6 years of hard work in India, she got a posting in South Sudan for emergency duty. The family was again very happy. But now I actually started thinking that mom is going away to a different city, a different country, a different culture and to a place which was war stricken. She was very excited because she loves her work and profession. But I was scared because I love my mom. I didn't express myself because she would have been hurt. But I knew whatever she’d do was for the betterment of the family. She was sent there for treating kids who were affected by war. She was there for them. Life was tough. There was no fresh food and water borne diseases were prevalent. Being a vegetarian, she could not even think of eating meat. She had to take care of herself and of the children she went there for. War and peace doesn't affect people till someone from their family is in such a situation. They cannot empathize till they know how severe it is. Being a UN official is not easy. People think you get lots of perks but everything comes with a price. My mother works in such difficult conditions because of her profession and because doctor’s can see anything but hate to see a person dying. Who would ever think of going to a place where there is a deadly disease. But that is never the case with my mom. I don’t know how she can love her profession more than she loves herself. After South Sudan my mom chose to work in Sierra Leone. 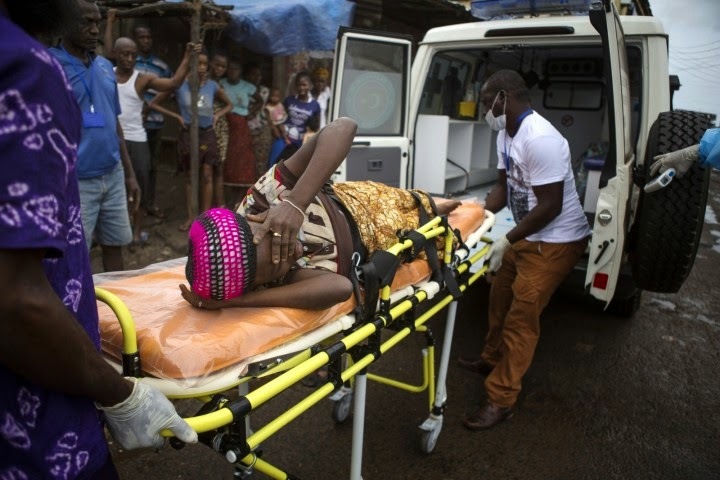 Yes, the same Sierra Leone which is affected by “EBOLA”. She has been there for almost 2 months. She never sounds scared. She is happy and confident. Many things about “EBOLA” have been published in newspapers and shown on television. That makes me scared but it never affects her. She is always that lively. She went there when Ebola was at it’s peak. I don’t have much to write about this because I have no idea what’s it’s like to be there. I am just writing this because peace is not “not having war,” but it is that place where our body and mind are also at peace. They should be disease free. And my mom is working towards attaining this goal of peaceful mind and body. She is my inspiration, she is helping to attain peace in her way by making people disease free. And mom, I am so proud of you. Militarism is often regarded as a necessary evil. The “evil” part is understandable. We heavily invest our financial, natural, and intellectual resources in this system, yet our return on investment is dismal. For all the promises of security and peace, we have enjoyed little of either. 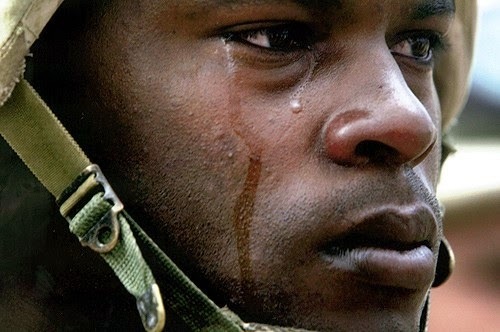 Moreover, militarism leaves its well-known wake of physical and emotional suffering, environmental destruction, social stresses, and spiritual disintegration. Militarism is regarded as an evil because it is ruining us on many fronts. The “necessary” part is, in a way, also understandable. What are we to do in the face of brute behavior around the globe? Civilians are beheaded, innocents are held hostage, villages are massacred, communities are terrorized, and so on. In response, we wield our tools of coercion and harm, with the hope that military force will defeat those who use violence to achieve their goals. Of course, those who suffer the consequences of military force return, sooner or later, with new attacks, new hostages, and new terror. And we respond, again, with our arsenal of coercion and harm. Despite the futile cycle, we believe that military force is necessary because we see no better option. Necessary evils make us uneasy. One would think that it is the evilness in the equation that causes distress, but perhaps it is the certainty of necessity. When we encounter a necessary evil, maybe our first question should be: Necessary for what purpose? In regard to militarism, if we are to be frank, the popular view comes down to this: Militarism is necessary in order to protect ourselves and others from suffering, and, if it fails on that count, then militarism at least enables us to take revenge on those who we believe cause the suffering. For many people, this is where the investigation of necessity ends. However, if we are going to keep pumping resources into militarism, it is in our interest to look deeper. Why do we want to invest so heavily in protection and revenge? This question might feel ridiculous, but our answer has great bearing on many lives and communities, including our own. Most of us hope to live a life of happiness and ease, with all that we need, in a sustainable environment. Unfortunately, our interests in protection and revenge do not serve this vision well. If we live life in a defensive stance, we are unable to enjoy ease. If we are more concerned with security than openness, we lose the ability to engage easily with the life’s flow of changing circumstances. If we want to exact revenge whenever we are hurt, we sabotage the possibility of a sustainable peace. In other words, the core drivers of militarism work against the life we envision. Satyagraha is an adherence to truth as it unfolds. Since many perspectives are necessary in order to see what is true, satyagraha offers a way to create change that recognizes both our incomplete understanding of any given situation and the wisdom that others have to share. It is a way of directly engaging with others to work out the difficult aspects of life without resorting to coercion, harm, or ill intention. Satyagraha is the social power which arises when we act with kindness, respect, patience, generosity, and service. 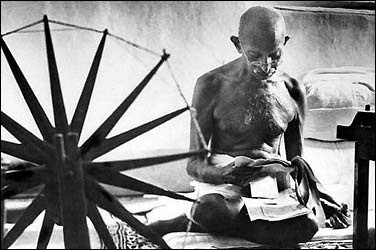 Key components of satyagraha include: changing ourselves as a means of changing the world; touching our adversary’s heart as a means of changing the world; maintaining kind intentions without exception; attempting to refrain from harming others; offering selfless service; and employing means consistent with the ends we desire. If satyagraha is not a familiar concept, and if the history of its application to threats and crises was not included in our education, then we have a whole new world to explore. There are many traditions of nonviolent social change, all offering alternatives to our tools of protection and revenge. 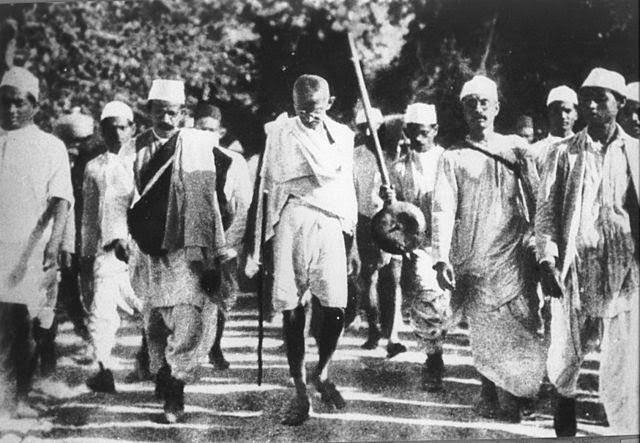 As we educate ourselves about the techniques and successes of satyagraha, we may find that militarism is, ultimately, an unnecessary evil. As deep wells of turbid waters, sediment of our souls churning, blocking the light, each of us a holy vessel, precious containers of life, so much to hold. It has been such a hard week, touched so deeply, feeling pain as Jews, as people in the world, within ourselves, in our families, in our cities. I try to take a breath and be with it all. 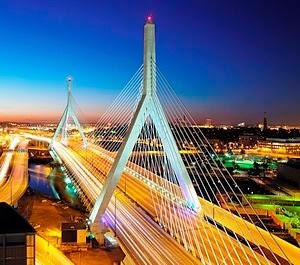 I try to be with the homeless people I heard yesterday at a meeting, people made homeless twice with the closing of the shelter and addiction programs on Long Island in Boston harbor, the bridge meant to join declared unsafe. 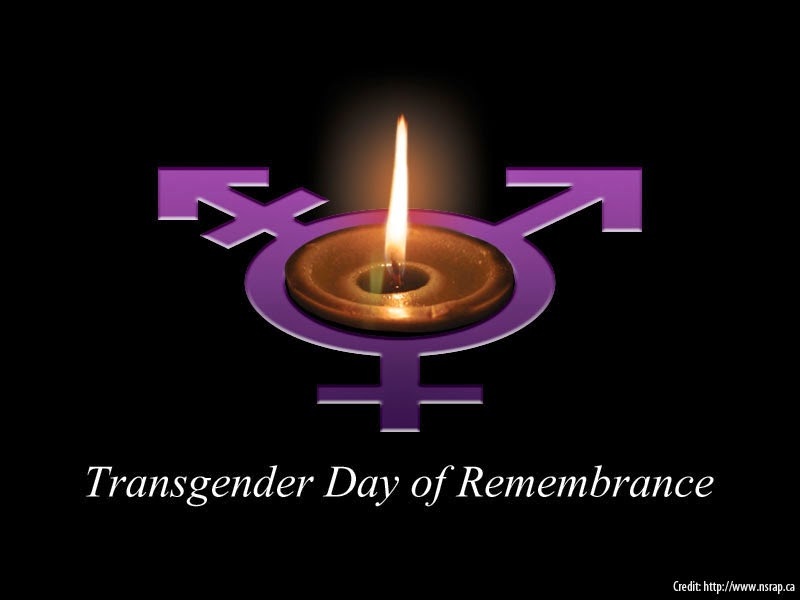 I try to be with the transgender and queer as we mark Transgender Day of Remembrance, marked at this time of year for all of those whose way of gender and sexual being in the world doesn’t fit socially prescribed and presumed norms as they have been. We remember all of the attendant suffering that has been and pray for change and wholeness. I try to be with those among us who are hurting through family illness and strife, accidents and worry. I try to be with immigrants living in the shadows, some feeling a measure of relief today with steps toward open-hearted justice taken by President Obama, others forced deeper into hiding. Of tensions I experienced at meetings meant to heal, I wonder why it can’t begin with us, as meant to be. And as the backdrop for all that tears at our hearts, the horror that sent forth its torrent of pain from Jerusalem this week. I realized this morning how close it all is to the surface. Going downstairs to answer the doorbell, I was surprised to see a police officer. Introducing himself, he asked if the synagogue was okay, if we had noticed anything unusual or of concern, whether there was anything they could do to help. I felt my voice crack as I thanked him and asked if they could fix broken hearts. “I wish we could,” he said, knowing what I meant. He said he had never been in a synagogue, so I invited him to come inside and see the prayer room, the ark, the holy books, and all that makes it sacred space. He stood quietly, conveying the spirit of one who felt the presence of God, unhindered by difference in faith or path, all to him as one in their intent. I thanked him for his concern, for the gift of unexpected connection, a way of soothing if not healing the ache of broken hearts. The shattering news from Jerusalem came home to Boston, four Jews killed at prayer and an Arab Druze policeman who responded first. As we are joined in death, so may we be in life. Rabbi Moshe Twersky, among the others, all of blessed memory, was the son of the Talner Rebbe, of blessed memory, rabbi of the Talner Shtibl, for many years a place of deep warmth, of Torah and Chassidic teaching in Brighton. The Talner is the spiritual template from the traditional world upon which our synagogue was modeled. So much email has come this week from so many grieving hearts. I feel and hold the brokenness, the heartache. There is another layer of heartache that has come with many of those emails. After the names of the victims many have written the letters, HY”D, which stand for the Hebrew phrase, HaShem Yinkom Damo/May God avenge his blood. Each time I see those letters I gasp and cry, mourning and sorrow joined with despair before such response as can only perpetuate the bloody cycle of death. In the Torah portion Toldot (Gen. 25:19-28:9) that framed and gave of its comfort to a week so filled with sorrow, Isaac offers another way, a way beyond the prescribed and presumed norms of society, of nations, of men. The gentle strength and quiet courage of an Isaac type sings of wellsprings unblocked deep within, diverse waters flowing as one from all the caverns of the soul. Looking to the source of Isaac's being, of what made him who he is, Rebbe Levi Yitzchak of Berditchev draws on mystical teaching to look beyond the bounds of gender. Levi Yitzchak describes Isaac as being both mi'sitra d'nukvah/of the feminine aspect and mi'sitra di'dechora/of the masculine aspect. He then says so straightforwardly, v’az hayah lo chayim/and then he had life (Kedushas Levi, Parashat Toldot). The varied facets of himself joined, Isaac was whole. It is a wholeness that too often comes with a price, bringing both peace and torment to the one with an Isaac type of soul. In a discussion about gender with parents and children in our family Hebrew school, one parent, with impassioned voice, urged that we not think of qualities as feminine or masculine, whether strong-gentle, determined-deliberative, competitive-cooperative, but simply as human qualities. Qualities and ways of being commingling as waters to the well, and in whatever measure, unbound, each one free to be and become. Fittingly, at this time of Transgender Day of Remembrance, the story of Isaac offers a lens through which to consider matters of gender and violence. Facing down the bully, but not giving in to his or her way, Isaac offers strength and hope, and the possibility of change to all of us. Seeking water in the desert, Isaac’s herdsmen dug a well. The herdsmen of Gerar quarreled with Isaac’s herdsmen over the well. Naming that well Essek/ Contention, Isaac told his herdsmen to move on and to dig another well. The herdsmen of Gerar also quarreled over that well, which Isaac named Sitnah/ Obstruction. Moving on yet again, his opponent likely perplexed, wondering by now how long this would go on, still waiting for the expected fight, Isaac dug another well, and there was no quarreling. He named that well Rechovot/Spaciousness. Seeking to disarm the other of prior assumptions and make room for both, Isaac is not turning away, but turning toward. Soon after, Avimelech, the king of Gerar, came to visit Isaac, concerned that he might still try to do his people harm. Isaac asks, Why have you come to me, seeing that you hated me and sent me away from you? Referred to by Avimelech as one blessed by God, having gained the respect of the one who hated, Isaac then made a feast for his visitors. The next morning, they swore an oath not to harm each other, and Isaac sent them on their way, and they departed from him in peace/va'yelchu mey'ito b'shalom. Peace came, the rabbis teach, only because Isaac did not repond to Avimelech in kind, lo shileym lo k’ma’asav/he did not repay him according to the way of his own deeds. 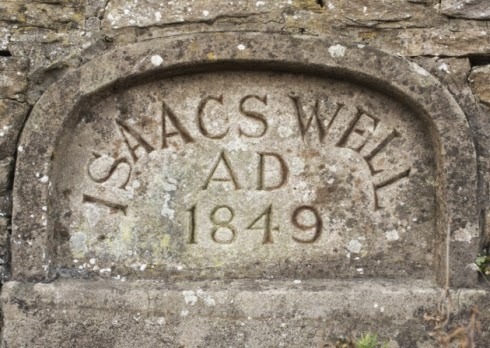 Of wells finally filled with waters of life, clear and pure, so much pain in the moment, may the way of Isaac offer a way forward, not of vegeance, whether of God or people, but of the strength to persevere in hope and find another way. During a bleak time in relations between Boston’s Jewish and Muslim communities, as controversy swirled around the building of the new grand mosque, the ISBCC in Roxbury, a group of Muslims and Jews gathered in search of ways to overcome the divide. At that meeting, I befriended a young Muslim colleague with whom a friendship grew, offering a model and possibility beyond our selves. We sought to create a different reality, starting a program to bring imams and rabbis together to learn each other’s texts. The primary goal of “Building Bridges through Learning” has been to engage with each other as people, holy texts as the starting point for holy encounters. The focus of study for the very first “Building Bridges” gathering in 2008 was our common ancestor, Avraham/Ibrahim. Following that session, a Rabbi shared reflections that continue to inspire me in this work, that speak to the essence of why dialogue is so important. He acknowledged honestly the suspicions he brought to the meeting, musing on degrees of separation among participants from a suicide bomber or an Israeli settler. “I came in not knowing what to expect…,” he wrote. “I was uncomfortable and uneasy…. But there were moments, as when I heard the Koran chanted for the first time, of awe and wonder…. By the time I left, my unease was reduced and I felt honored to have had a chance to meet the people I did.” Giving context to the poignant sharing of one participant, my Muslim partner wrote: “Sometimes I feel that family members are getting together after a loooong period of separation. We have so much catching up to do!" It saddens me that we are still debating as a community the relative merits of engaging in dialogue with our Muslim neighbors. Whether to engage or avoid affects the overall tenor and tone of life in the Jewish community and in the general community, one of fear and suspicion or of openness and opportunity. There is greater security in relationship than in separation and alienation. Through open and honest dialogue that takes place on multiple levels, context is created in which to share concerns and pursue a common agenda. When out of our own fears and loyalties either party speaks words hurtful to the other, there is opportunity to address and redress. Direct knowledge of the other as it forms through dialogue and relationship is far safer than the misperceptions that give rise to stereotypes in the other’s absence. Dialogue and engagement is enriching, bringing joy and excitement on wings of discovery, recognizing so much of our selves in the other, realizing too that difference need not be threatening. One of the unexpected gifts and ironic challenges of dialogue for each partner is the necessity to know oneself, as an individual and as part of a people and tradition, deepening our own identity in the process of coming to know the other. The degree to which Jews and Muslims can engage with each other in Boston is its own measure for what is possible elsewhere. Instilling hope and offering a path of possibility, we empower our children to be active shapers of tomorrow and of the world in which they will live. Whether that will be a world of greater peace than we know today will depend on our children’s confidence and courage to engage with others. 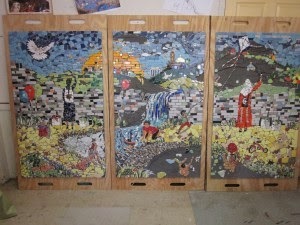 The Peace Mural is created by a group of Jewish and Palestinian artists at Spontaneous Celebrations studio in Boston. Once again, that book display as you enter my home town library grabbed my attention. The title was Death of a King, written by Tavis Smiley with David Ritz. It's about Martin Luther King, Jr. and focuses on the last year of his life. I learned two significant things in reading this book that I didn't understand earlier. Number one, I discovered considerable personal detail about the human being behind the media and public persona. Since much of the contents of the book came from interviews with those close to King, the material reveals the depth of the struggles and the intensity of emotions behind the legendary preacher. Especially in the last year of his life, King was meeting defeat and discouragement at every turn and suffering from deep depressions. Now I understand better why he had to be helped to his chair after that last amazing speech in Memphis. The man was utterly fatigued, physically and emotionally, and was called out of bed to attend at the last moment. The second thing I realized anew, with power, primarily through all the quotations from his speeches highlighted in the book, was that the evils in my country he identified live on, these many years after his death. Perhaps you remember his big three: militarism, materialism (with it's sister poverty) and racism. He meant this trinity as the opposite of the Christian trinity. But we have a short memory in this country of King's last year. The media have none. 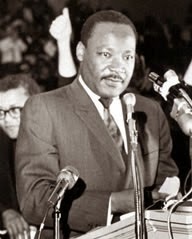 That last year began with his speech at Riverside Church against the Vietnam War and ended exactly one year later with his assassination in Memphis. The recent U.S. election, according to the pundits, turned on disapproval of the Obama administration. But whatever one thinks of President Obama, he's been instrumental in winding down the disastrous and unnecessary wars in Iraq and Afghanistan. He's pushed for diplomacy instead of war with Iran. And he's resisted the militarists for boots on the ground in Syria. One would think that the rise of ISIS and the flocking of radical Islamists from around the world to them, would suggest that permanent and pervasive hot war against terrorism didn't work very well. But we have become such a captive of violence as a nation, that our economy and politics continually demand more. In 1967, King called the United States "the greatest purveyor of violence in the world today." In 2014, I fear it's only gotten worse. Those were weapons made in the U.S. that destroyed homes and schools in Gaza. And even as we are at war against radical Islam around the globe, we often find their weapons were "made in the USA." The most recent figures from 2012 show the U.S. as the largest arms supplier to developing nations from 2004 to 2011, 44% of the total. The closest competitor was Russia, at 17%. As the budgets for diplomats, food aid, health resources in the poorest countries of the world plummets, war and weapons spending keeps escalating, defense industry keeps growing and the profiteers from misery grow wealthier. 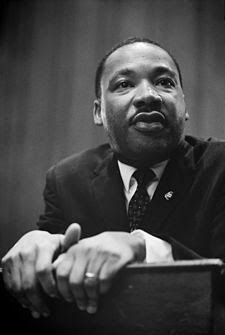 King also said, "A nation that continues year after year to spend more money on military defense than on programs of social uplift is approaching spiritual doom." One of the most tragic consequences of militarism is the way much of the religious community has blessed or ignored this addiction to violence. Aside from the constant wars, structural violence still decimates U.S. urban centers and economic inequality destroys the hopes and aspirations of millions. In the meantime, the federal government neglects it's responsibility to form a more perfect union, establish justice, insure domestic tranquility and promote the general welfare. The prophetic voice of faith is too often silent as the church ignores social and spending sins. 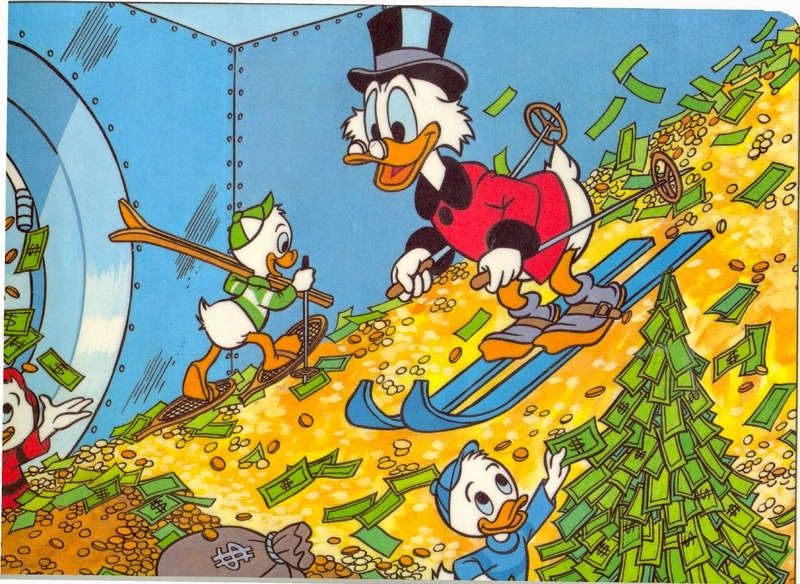 As far as materialism is concerned, the money spent this year on Halloween in the U.S. was astonishing. Estimates run to more than $7 billion. It's estimated that $10 billion would provide the whole planet with safe, clean drinking water. Perhaps we wouldn't have to worry about scary things like Ebola if people had access to water, basic sanitation and health care. The third of the trinity of evils for King was racism. We've made some progress since the days of the U.S. civil rights movement, on the surface. But it's becoming increasingly obvious the progress is only skin deep. Witness the young black men being killed in cities all across the nation, sometimes simply for picking up a bebe gun in a department store. Witness the new Jim Crow laws operating at the ballot box. And underneath all those ugly cartoon caricatures, the debate about the President being a Muslim and not an American citizen and all those policies white Americans see as benefitting black Americans, underneath it all, is frustration with how the color of the country is changing and the future will be colorful. We hesitate to say "race" anymore, or talk race, but it moves people, forward or back. In one of his sermons King said, "Cowardice asks the question - is it safe? Expedience asks the question - is it politic? Vanity asks the question - is it popular? Conscience asks the question - is it right?" Let's ask the right question! Today, I spent the better part of the morning with a young friend, studying TANYA, a book of Jewish wisdom, for a class of the same name. My friend is Jewish. I am not. Our rabbi/teacher is based in Israel at the Conservative Yeshiva. She posts the relevant texts, translations, footnotes, and study questions. We study together and post our responses in an online forum where we “meet” our classmates who are scattered around the world. My study partner (my hevrutah) and I are in deep waters. Neither of us has enough Hebrew to be comfortable with the Hebrew references. We are both neophytes in the exploration of the nature of the soul. We have lots of questions and not very many answers – and yet we learn from each other and through each other as we explore together. A deep love and respect is growing between us. I have been pondering the dynamic process of learning together. What we experience is greater than the sum of its parts. With our teacher’s guidance we do, indeed, come to greater understanding of this complex text, but the greater learning is intangible and un-nameable - - there to be enjoyed and not questioned over much – as though to examine it too closely might cause it to evaporate. How does one speak of soul connections without sounding a little “woo-woo”? Over the weekend, a guest speaker at our local synagogue introduced us to a wide variety of joint Israeli and Palestinian/Arab and Jewish grass roots efforts at building understanding and creating peace. 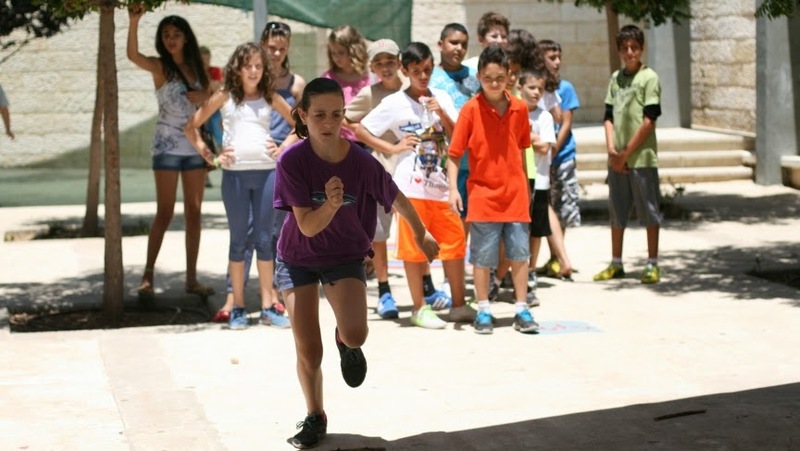 We learned about Israeli and Palestinian children creating art together; learning how to literally dance together – -ball-room style; learning and performing chamber music together - - all in camp settings dedicated to the process of getting to know one another as human beings through the learning process. The speaker showed some amazing photos of “the last day at camp” from each of several camps across a year. Without exception, the photos defied the viewer to identify who was Palestinian and who was Israeli. The group photos were just that – joyous photos of communities of kids who had spent time together, learning new skills, sharing art and dance and music. Behind the scenes much dialogue had occurred as kids got to know each other as human beings. There were social and political and spiritual challenges to be encountered and transcended. Pain and fear and distrust were present as the inevitable guests in any inter-cultural effort at creating greater understanding between humans in conflict. And yet, for brief spaces in time - - the length of a summer camp program - - creativity, cooperation, spontaneity, laughter - - all symptomatic of a burgeoning humanity, ruled the day. The kids who participated in these programs may or may not have opportunities to provide leadership when they returned home to their own communities. That remains a huge question mark. But seeds for a more hopeful world were planted. My young friend and I are so different. We have to span a 40 year difference in our ages. We come from vastly different backgrounds –hers Jewish, mine Christian. She is a risk-taker. I am risk averse. We have very different educational backgrounds. I have raised a family and she is a single young adult. But when we sit down across the dining room table from each other to learn about something new and challenging all of that melts into the background and we create something new and beautiful as we study and ponder and question together. This feels very much like peace-building to me. I wonder if this might be the “greater than the sum of its parts” phenomenon that could account for those joyous last-day -of –camp photos - - photos of beautiful kids of diverse backgrounds who have spent time together creating more than just art and music - - building peace together. The Jewish conscientious objector to war, let alone the Jewish pacifist who eschews all violence, is the epitome of Rabbi Joseph Soloveitchik’s “lonely man of faith.” Often walking alone, there is yet great joy in the depth of meaning to be found in seeking to harmonize ultimate values with present realities, the ideal and the real, Sabbath time and weekday time. Years ago, as a student in Jerusalem, I would engage in deep conversations with a friend as we both sought to navigate our way in the early stages along that journey. Jeremy had made aliyah to Israel in his teens and was struggling with how to deal with the army. With conscientious objection not recognized as a legal category, he found creative ways to serve, remaining true to his own conscience while managing to fulfill the national expectation to serve. At some point during that time, I too needed to struggle with an unanticipated expectation to serve. The Hebrew University dormitory in which I lived announced that all residents would be trained to use a gun and would then be expected to take a turn doing sh’mira/guard duty. Registering my objection, I was told I would be expelled from the dorm. Far more concerned with the underlying tensions than with where I would live, of Jews and Jewish values in conflict, of violence and nonviolence, of witnessing another Jewish way, another way of being in the world, I sought to engage with those responsible for enacting the policy. At first not sure what to make of me, the officials were willing to talk and eventually we came to a creative solution. I agreed to do two weeks of nighttime guard duty as my responsibility for the year, all in the time before the training was complete and the guns arrived. While leaving important questions unanswered and making for one tired student, it was a very valuable process that affirmed in a limited context the validity of Jewish conscientious objection and even pacifism. As ostracized as I might have felt and at times did feel, my presence in the dorm was respected. I thought about these incidents and the deeper questions they raise as I followed an on-line discussion about Jewish conscientious objection. It was a discussion that Jeremy, still in Israel, still wrestling deeply, had started. While there is much to process, I find myself touched mostly by a deep sadness, even as I seek the joy that comes from a transcendent if lonely faith. With some expressions of support and some respectful disagreement, there has been so much vituperation and rejection of even the possibility of a Jewish basis for conscientious objection to violence. I found myself stunned by the certainty, by what seemed to be a dread of even allowing for the possibility of Jewish grounds for conscientious objection. Pacifists were referred to by one respondent as “partners with evil,” pacifism as a chilul Hashem/a desecration of God’s name. As one whose first taste of the depths of Torah came through study with my own rabbi toward developing a Jewish basis for my claim as a conscientious objector, I didn’t know whether to laugh or cry as I sat bemused and bewildered. As a Jewish pacifist, an essential part of my being was called into question. The discussion began in the context of the Torah portion called Bo (Ex. 10:1-13:16), set amidst the violence of the ten plagues. We struggle with the brutality of Pharaoh and the suffering our own people endured as slaves for four hundred years. So too, we feel the suffering of innocent Egyptians, paying in the end with their lives for the callousness of their ruler. Ruthless abuse of power and people is the backdrop, suffering even of one’s own the consequence of oppressing and dehumanizing others. It is a morality tale, one whose lessons are still unlearned in the world. The story of Pharaoh’s hardened heart is a reminder that hearts need to be softened if humanity is to survive. Trained in the way of tenderness, as vessels for humane values, it is about our own hearts, our people’s, our nation’s, the heart of all nations and peoples. In the very name of the parasha, Bo/Come, is an invitation to engage, to come near, to ourselves, to each other, even to the oppressor. Moses is not told here to go, but to come, to approach Pharaoh. Rabbenu Bachya, from 13th century Spain, begins his commentary with a quote from Proverbs, “Happy is the one who fears always, but one who hardens their heart shall fall into evil.” It is about Pharaoh and it is about us. Rabbenu Bachya then teaches that this verse indeed commands a person to be of tender heart/she’y’hi’yeh rach ha’levav. Rach ha’levav/of tender heart, is the same term that is used in Deuteronomy to describe one of those to be sent home from the army, the tender of heart as conscientious objector. As the human heart comes to know more fully the way of tenderness, there shall be in the world surcease from war and violence. Then the road of the conscientious objector and the pacifist shall no longer be lonely, Sabbath time and weekday time as one, the deepest vision of Torah fulfilled. There's a new film out that intends to frighten people into being "saved." 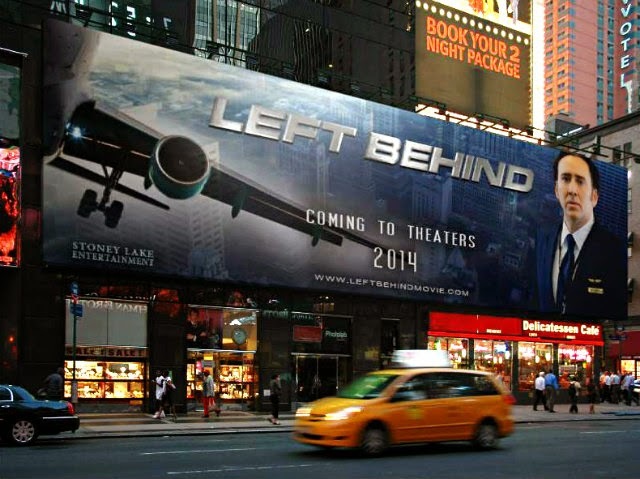 "Left Behind" is not new, just a warmed over version of the book in a visual format. I've only seen the trailers on TV and read some reviews but I'm familiar with the book series. Entertainment weekly gives it an F. It's rated PG 13, I guess because if you're 13 you can hopefully tell the difference between truth and fantasy. Frankly, I think the producers are aiming it at young people, who can be appropriately frightened and will be sent to the film by their religious leadership. project it into this time and place. So, in the film, good people are raptured out of their plane seats and everywhere else, leaving their clothes behind during the end of times. An interesting twist in this film is that apparently children (the innocent) are also saved, along with all the good people. The heathen, probably you and I in the eyes of the writers, are left to our destruction. I have several problems with this film and world view. First, it is a mis-reading of the Biblical material. The writers of Scripture were writing for a particular audience in a particular time and place. Unless one discovers, as best one is able, the original context of a passage, whatever contemporary rendering you give it will be mistaken. End timers are famous for taking Bible passages out of context. 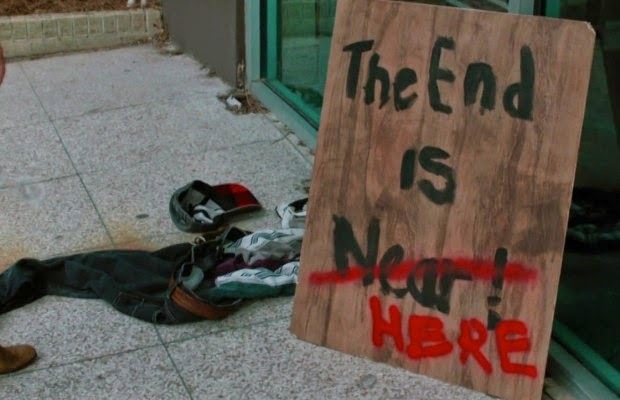 Take the book of Revelation, the prime example of apocalyptic literature in the scriptures. It's one of many examples of apocalyptic material from that time period, most of which didn't make it into the Biblical canon. Some like Martin Luther didn't believe Revelation belonged in the canon and would have left it out. Revelation relates a cosmic struggle between good and evil, symbolized by God and Satan, by the early Christian community and the Roman empire. It has all the elements of apocalyptic literature: cosmic struggle, symbols and visions, numerology, etc. In it's essence, the book is an encouragement for people in the early Christian community to keep the faith and stay the course even in the midst of severe persecution and oppression. Rome is the "beast," Nero Caesar the oft quoted 666. The promise of the book is that God is still in charge and will enable a new creation. End timers turn this message on it's head. Instead of facing the difficulties of the times, they promote an escape hatch. It's not the evils of this world one is to stand firm against in expectation of the new Jerusalem. Instead, end timers offer the promise of a new world in heaven if only people will affirm the right beliefs. A second problem I have with this reading of Scripture is the motivation by fear it entails. The simplest definition of God in the Bible is just three words, "God is love." In that same chapter in 1 John the writer says "there is no fear in love." So why people who call themselves Christians continue to hammer people over the head with fear and guilt, sin and damnation, punishment and destruction, hell and the end times, is beyond me. Are people more responsive to negative or positive reinforcement and which does the founder of Christianity represent? The fear mongering in "Left Behind" does a dis-service to the Christian faith! A third disagreement I have with this world view is the sense of helplessness and hopelessness it encourages. The empires of our day also like helpless and hopeless people. They would like us to focus on how horrible things are in the world and how little anyone can do about it and given the news of the day, most of us can be and are rendered immobile. Christianity, I believe, teaches the opposite. It teaches hope, faith and love. None of which makes a person helpless. A fourth argument I have with this end times world view is the emphasis it places on individual salvation. It's as if you just believe the right things, you'll be saved. There's no emphasis on giving your life in an Ebola epidemic, or biking across the land with a "caring for creation" message, or serving Syrian refugees in Turkey. As I read the Bible, it is primarily about social salvation, especially in the Hebrew Scriptures. And in the New Testament, you also try to model in your own life the sacrificial nature of one who died on a cross in a challenging time. One doesn't get to the promised land or the New Jerusalem by yourself. You go with others and you try to make sure everyone is able to make the journey. But in the film, it's sorry heathens, you had your chance. You're left behind!